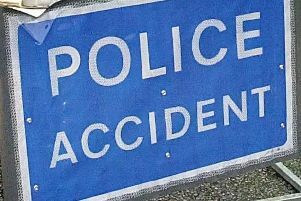 A teenage motorcyclist from Steyning is seriously ill in hospital following a collision on the A24 in Worthing yesterday (Monday June 1). The 19-year-old was riding a yellow Honda CBR 125 that was involved in a collision with a Mercedes Sprinter minibus at around 4pm. He was airlifted to St George’s Hospital in London with multiple injuries after he was released from under the minibus, a police spokesperson said. The crash happened at the junction of the A24 Findon Road and Allendale Avenue. The road was closed for more than two hours while rescue and recovery work took place, along with evidence gathering for the investigation into the incident, Sussex Police said. The driver of the minibus, a 61-year-old man from Arundel, suffered minor injuries. Police have thanked members of the public for their patience while the road was closed. Anyone with information can contact police by calling 101 or sending an email to collision.appeal@sussex.pnn.police.uk quoting Operation Redtail.